Kalguksu refers to a type of Korean hot noodle dish. The noodles for this dish have the same name as the dish, and is also called “knife-cut” noodle. The noodles are handmade and served in a lightly flavored hot soup. It is a comforting traditional dish! Make sure the kneading blades are properly attached, and add the ingredients (except flour for dusting) to the baking pan in the order listed. Place baking pan into the Home Bakery, close the lid and plug the cord into the outlet. Select the HOME MADE course. Press CYCLE button turning OFF the following: Preheat or Rest, Rise 1, Rise 2, Rise 3, Shape, Bake, Keep Warm. Select the KNEAD cycle and set to 0:20. For BB-CEC20 and BB-PAC20 models, press CYCLE twice to record. Press START. When the HOME MADE course completes, press CANCEL (or press and hold START/RESET) and remove dough from baking pan. Roll dough into a ball. Wrap with plastic wrap and let rest for 30 minutes at room temperature. Place dough on a lightly floured board. Knead dough for 2 to 3 minutes, then divide into 2. (Covering the unused dough with plastic wrap while working on the other dough will help prevent drying.) Roll each ball into 1/8” (approx. 3mm) thick sheets. 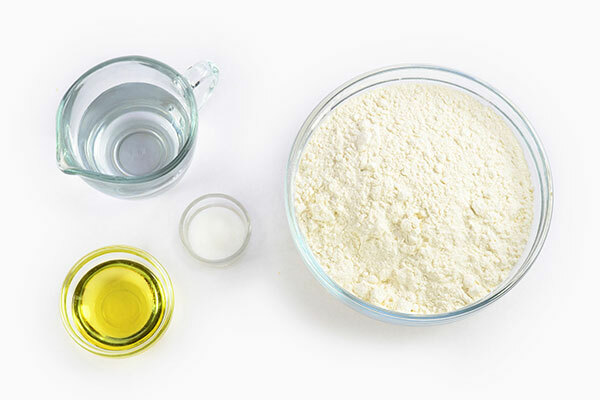 Dust surface of dough with flour and fold into thirds. Using a knife, cut folded dough into 1/4" (approx. 6mm) wide strips. 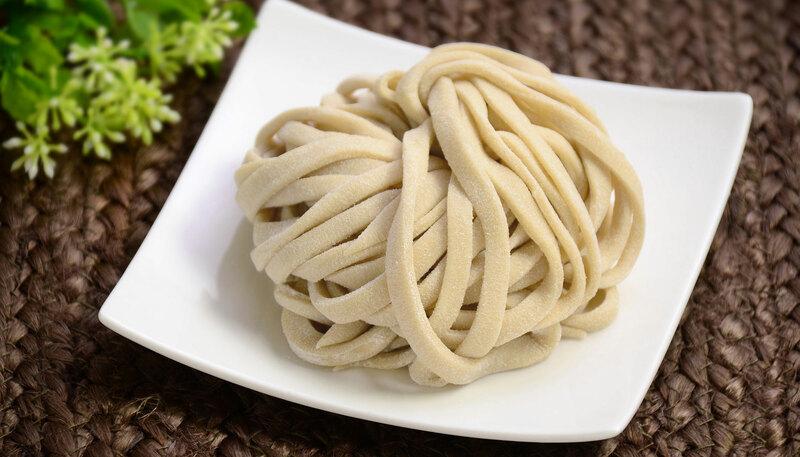 Gently unfold each noodle and dust with flour to prevent from binding and drying. Bring your favorite Kalguksu stock to boil. Add noodles to the stock and cook for 4-6 minutes or until the noodles float to surface. Remove from heat. Enjoy!